Using music to convey an understanding of the most counter-intuitive concepts of quantum mechanics. All the wonders of quantum mechanics ultimately rest upon a peculiar property of the quantum world, as easy to enunciate as it is difficult to understand. 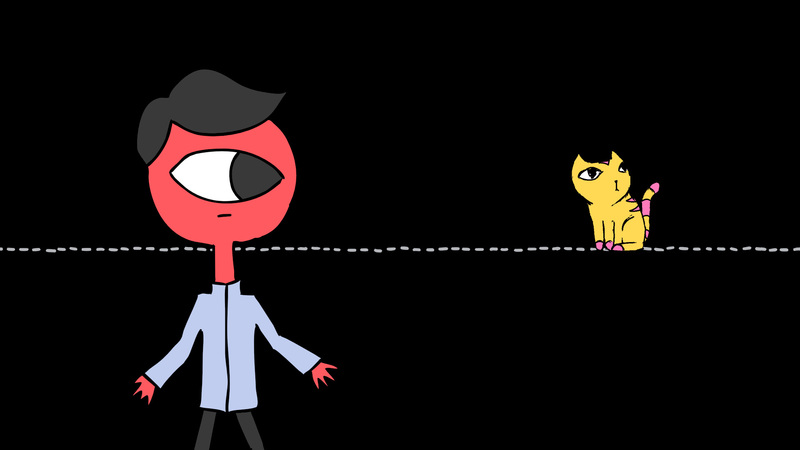 It is something called the superposition principle: if a certain physical system can exist in two different states, then it can exist in both states simultaneously, in what is called a quantum superposition. These superpositions are very fragile, and collapse as the system interacts with the external world, leaving only one of the original states behind. It is this fragility that forbids us to observe them in the classical, macroscopic world. The very act of observing something is enough to destroy any eventual superposition. And yet the predictions of quantum mechanics keep proving right when confronted to experience! The superposition principle has been verified with objects large enough to be visible to the naked eye, and entanglement, that is nothing but the superposition principle applied to multiple objects, is fuelling a major technological revolution all around the world (see notable examples in EU, UK, and China, quantum devices are expected to enter our everyday life in the near future. 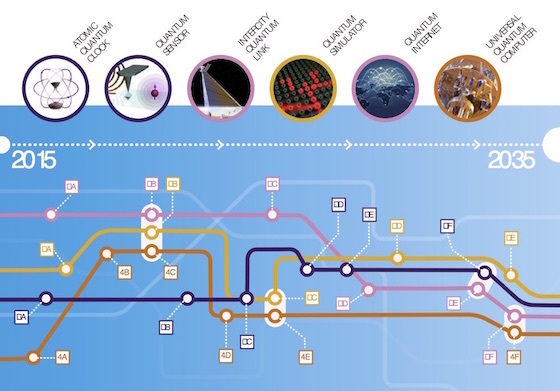 "Timeline of Quantum Technology" - The future is upon us. The European Union is investing 1B€ to transition quantum technologies from research laboratories to everyday products in the real world. After a few failed attempts at creating visual codes able to convey a more vivid understanding of what a quantum superposition really is, I realised the difficulties i was facing were both physical (short wavelength of light) and physiological (eyes allows us to focus on single objects). The human brain is simply unable to focus its attention on two different images at the same time. Not much to do about that it seems… except maybe trying another way to convey simultaneous information to the brain, using sounds instead of images! Sound waves have much longer wavelengths, and the non-directional nature of our hearing makes it much more intuitive to be able to consider different sounds both as individual and as a whole, just think about a concert, in which we can at will focus on a single instrument or follow the symphony as a whole. I thus approached Martin Fogel, an Associate of the Royal Academy of Music and an old friend from my time as a postdoc in Japan, to try to develop this idea further. Beyond my mere interest in its didactical and explanatory power, Martin became interested in the creative potential of using quantum inspired dynamics as a composition tool. Thanks to the Leverhulme Trust, that supported us through an Artist in Residence grant, we were able to transform my initial intuition into a full-fledged project. The result was Approaching Reality, a composition loosely inspired by Steve Reich’s minimalist pieces, in which three different lines of music evolve following a quantum-inspired dynamics, coexisting until an external observer probabilistically collapses them into a single one, only to redevelop into a superposition once the observer averts his attention. Each different state of the observed system (here: the vertical location of the cat) corresponds to a tone. While the scene remains unobserved, different tones/states exist together as chords, until the system is observed and the superposition collapses into a single state. Upon completion of the composition, the Public Engagement Research Unit of the University of Southampton awarded us a follow-up grant to finance the making of a musical video, aimed to facilitate its diffusion. 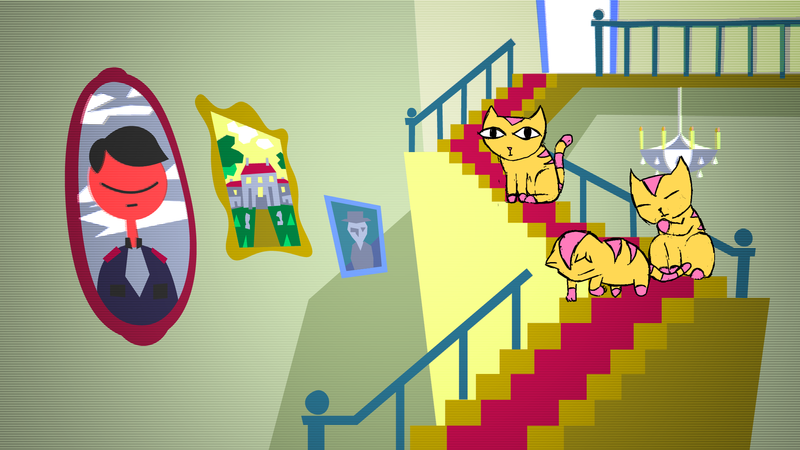 The very skilled collective Quart Avant Poing realised it, featuring cats evolving in an environment reminiscent of 80s cartoons and platform games. You can find here the full version of the video and also the music standalone. For didactic purposes we also made a shorter version. I hope you will enjoy. Simone De Liberato is a theoretical physicist and a technological entrepreneur. He is Associate Professor at the University of Southampton and University Research Fellow of the Royal Society. Martin Fogel is a London-based classical guitarist, Associate of the Royal Academy of Music. Martin Wiklund & Ulysse Lefort are part of a Paris based collective, called Quart Avant Poing. They work mostly on video but also make some music. They are also very interested in science (and cats). Web page by Justine Hannequin, digital product designer, specialized in pedagogical experiences, and unexpected way to deliver learning.